All Summit Park homes currently listed for sale in Summit Park as of 04/23/2019 are shown below. You can change the search criteria at any time by pressing the 'Change Search' button below. If you have any questions or you would like more information about any Summit Park homes for sale or other Summit Park real estate, please contact us and one of our knowledgeable Summit Park REALTORS® would be pleased to assist you. "Step back into the old world with all the charm and elegance that goes with it. This home is unlike any of you have ever been in. It's a true masterpiece from the award-winning architect Dan Evans. 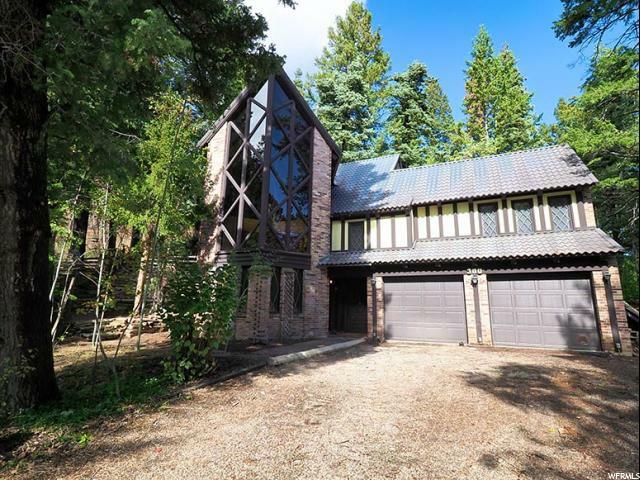 With towering vaults and perfectly placed windows, you'll be constantly reminded of why you moved to the mountains. Enjoy the peace and quiet from one of multiple outdoor spaces in the middle of this huge 1.22 acre wooded lot. This truly is one of a kind. "